Angular capital from the Temple of Athena Polias in Priene. The Temple of Athena Polias in Priene. Temple of Athena Polias in Priene: Fig. I: The uppermost Step and Base, with the lower part of the Shaft of the Column. Fig. 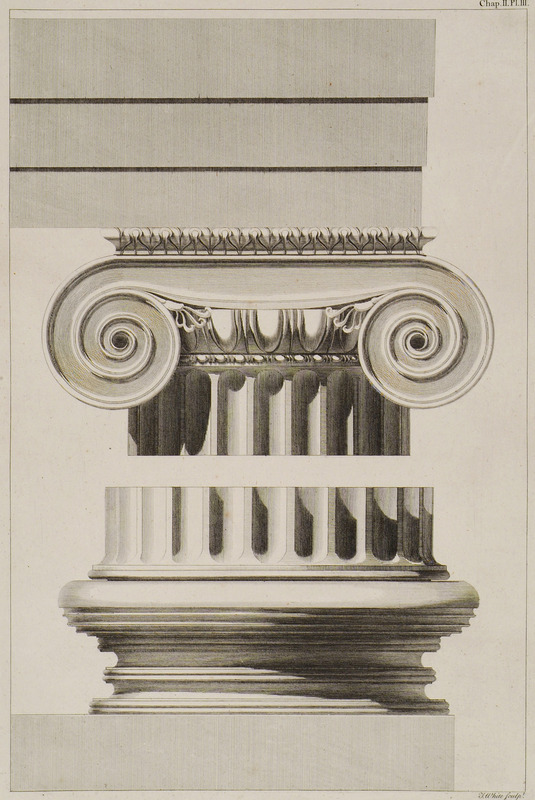 II: The Capital and Fasciae of the Architrave, with the upper part of the Shaft of the Column. Temple of Athena Polias in Priene: Fig. I: The uppermost Step and Base, with the lower part of the Shaft of the Column., Fig. 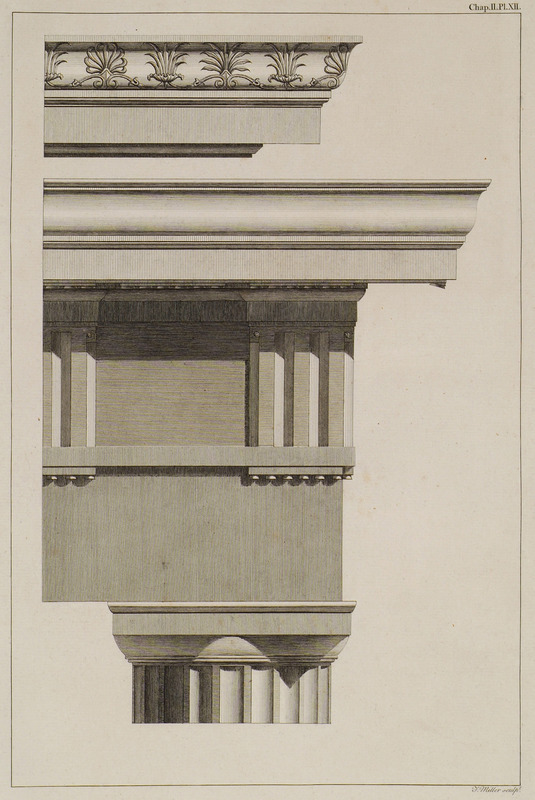 II: The Capital and Fasciae of the Architrave, with the upper part of the Shaft of the Column. (shaded drawing). Capital from the temple of Athena Polias in Priene: Fig. I: The Plan of the Capital…Fig. II: An Elevation of the Profile of the Capital. 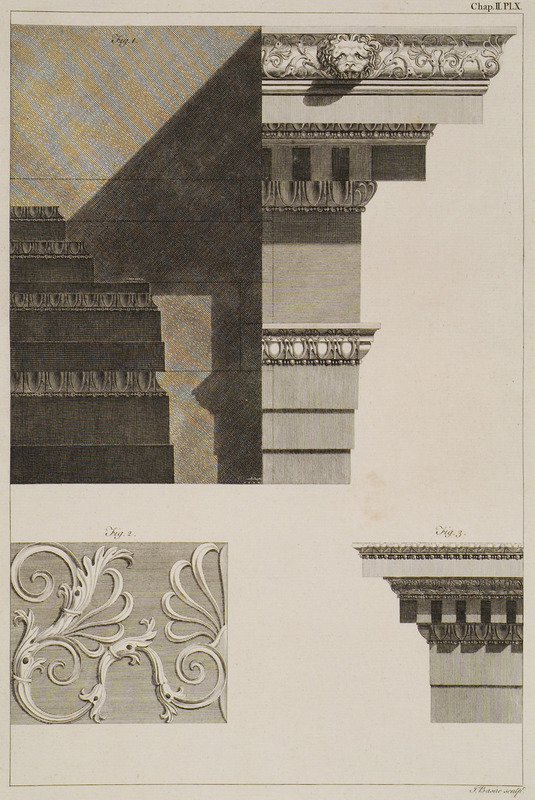 Fig.III: A Section through the Profile of the Capital. 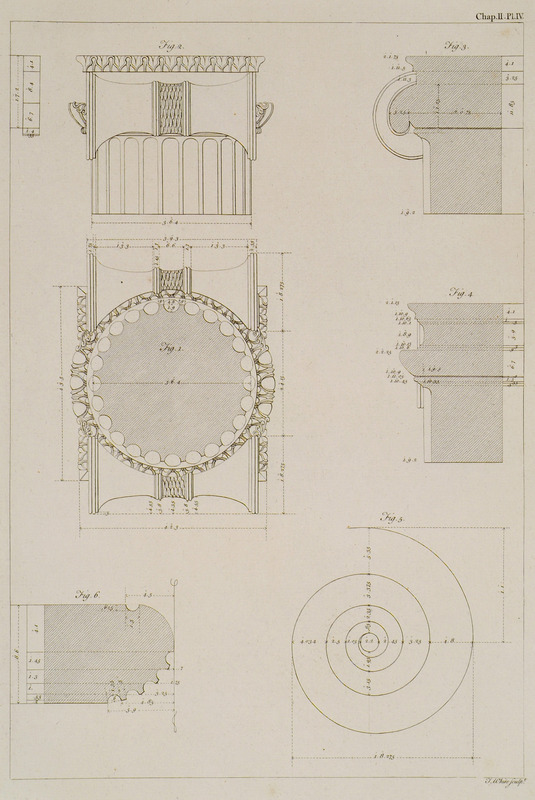 Fig.IV: A Section through the Front of the Capital. Fig. V: The Contour of the Volute… Fig. VI: A Section through the Torus of the Base, in which the Flutings and Profile are distinctly marked. Capital from the temple of Athena Polias in Priene: The Plan, Elevation of the Profile, and Section of the Capital, shaded; Also the Abacus of the Capital and the Section on a larger Scale…Fig. I: The Plan of the Capital…Fig. II: An Elevation of the Profile of the Capital. 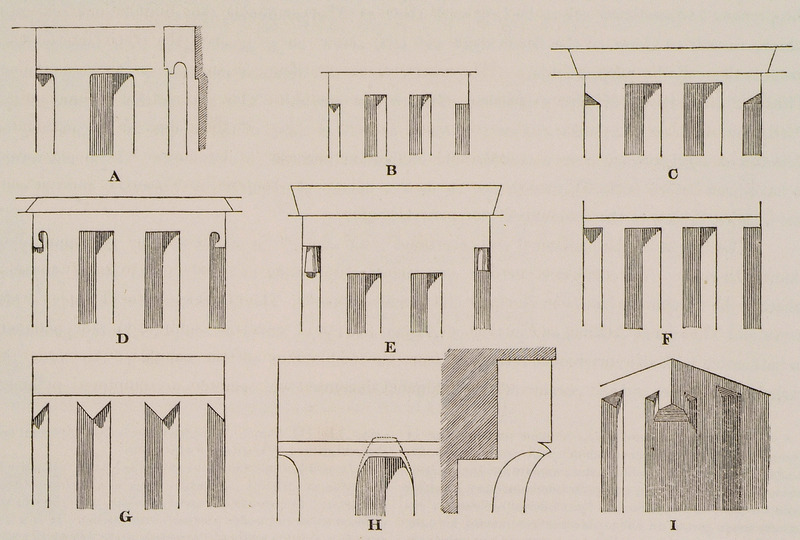 Fig.III: A Section through the Profile of the Capital. 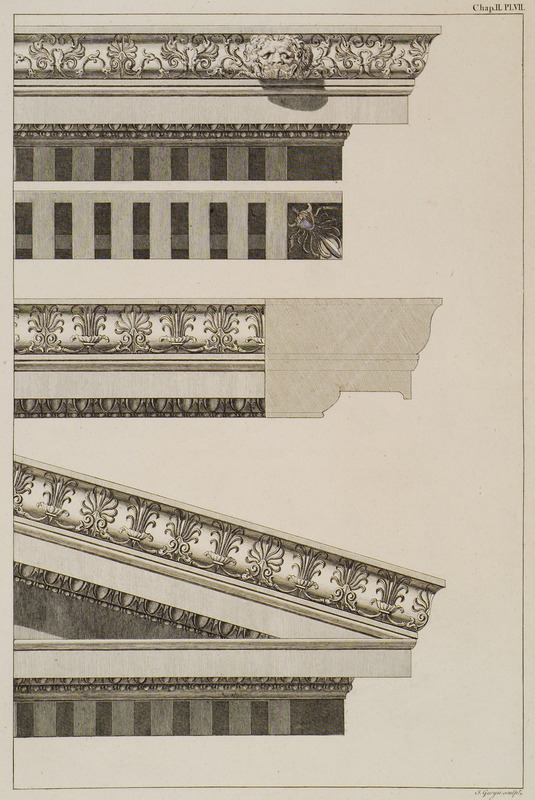 Fig.IV: A Section through the Front of the Capital. Fig. V: The Contour of the Volute… Fig. VI: A Section through the Torus of the Base, in which the Flutings and Profile are distinctly marked. Temple of Athena Polias in Priene: Fig. I: The Cornice of the Temple. Fig. 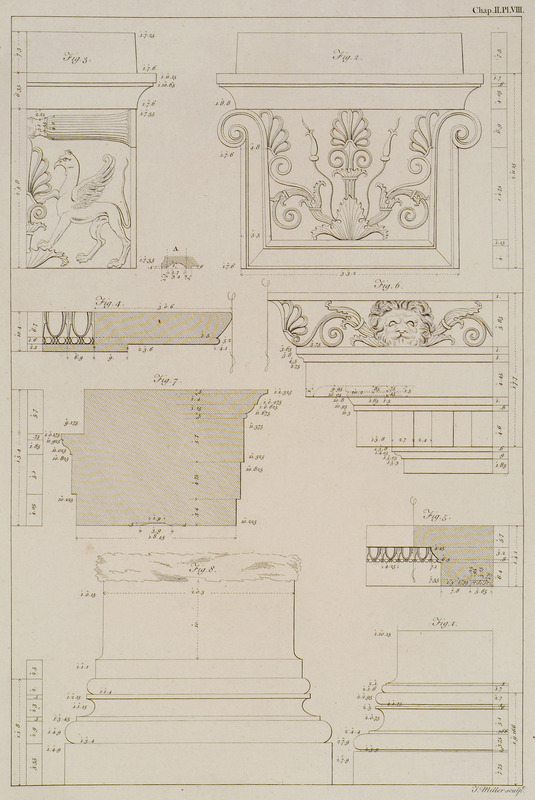 II: A Section through the Cornice of the Pediment, with its Front annexed. Fig.III: A Section through the Architrave of the Temple, with its internal Face. Fig. IV: A Section through one of the Transverse Beams which supported the Lacunaria, with one of its Faces. Temple of Athena Polias in Priene: The Cornices in the foregoing Plate shaded. Fig. I: The Cornice of the Temple. Fig. 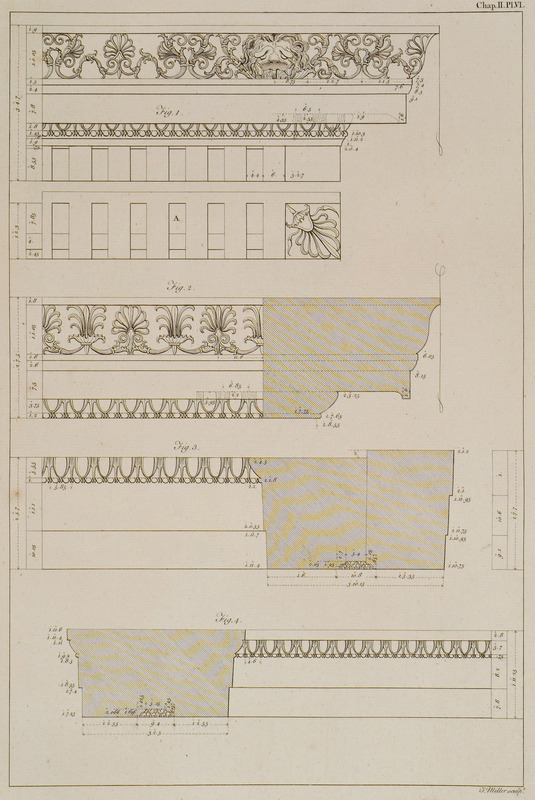 II: A Section through the Cornice of the Pediment, with its Front annexed. 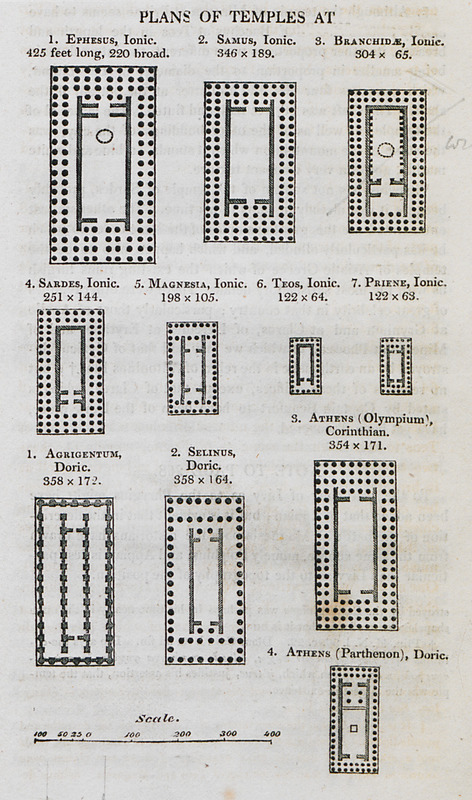 Fig.III: A Section through the Architrave of the Temple, with its internal Face. Fig. IV: A Section through one of the Transverse Beams which supported the Lacunaria, with one of its Faces. Temple of Athena Polias in Priene: Architectural features such as base of column, capital, helix, cymatium and others. Fig. I: A square Base, with the lower part of a Column, found near each other, by the South East angle of the Temple. Fig. II: One of the Fronts of a Square Capital, which has four faces, and a Plinth upon the Abacus. 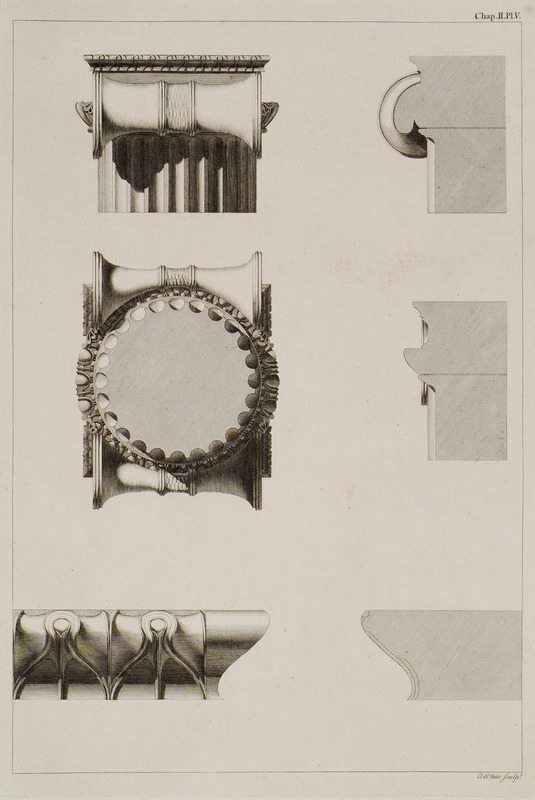 A Section through the Stems of the Volutes, in front of the Capital. Fig. III: The Semi-profile of the same Capital. Fig. IV: A Section through the Cymatium of the Architrave. Fig. 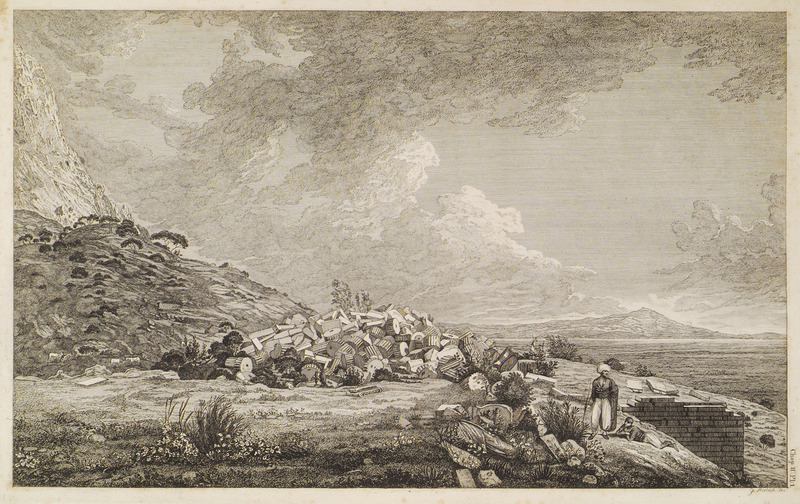 V: A Fragment of the Lacunaria...Fig. VI: The Cornice, which belonged to the Peristyle within the Peribolus. 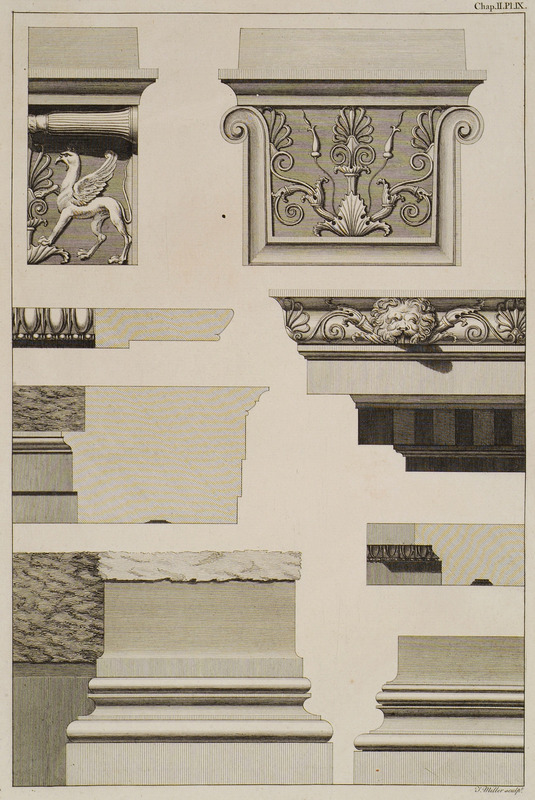 Fig.VII: A Section through an Architrave, belonging to the same Entablature as the above Cornice did, and found near it, among the ruins at the front of the Peribolus. Temple of Athena Polias in Priene: Architectural features such as base of column, capital, helix, cymatium and others, (shaded drawing). Fig. I: A square Base, with the lower part of a Column, found near each other, by the South East angle of the Temple. Fig. II: One of the Fronts of a Square Capital, which has four faces, and a Plinth upon the Abacus. 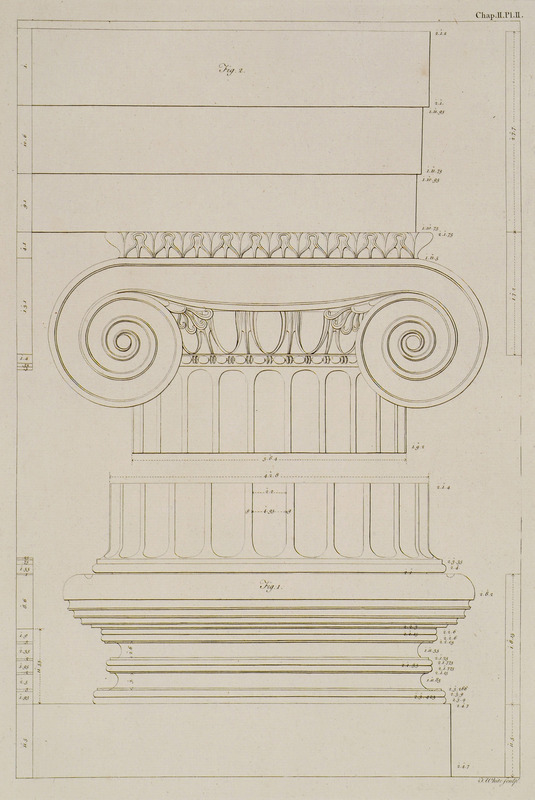 A Section through the Stems of the Volutes, in front of the Capital. Fig. III: The Semi-profile of the same Capital. Fig. IV: A Section through the Cymatium of the Architrave. Fig. V: A Fragment of the Lacunaria...Fig. VI: The Cornice, which belonged to the Peristyle within the Peribolus. 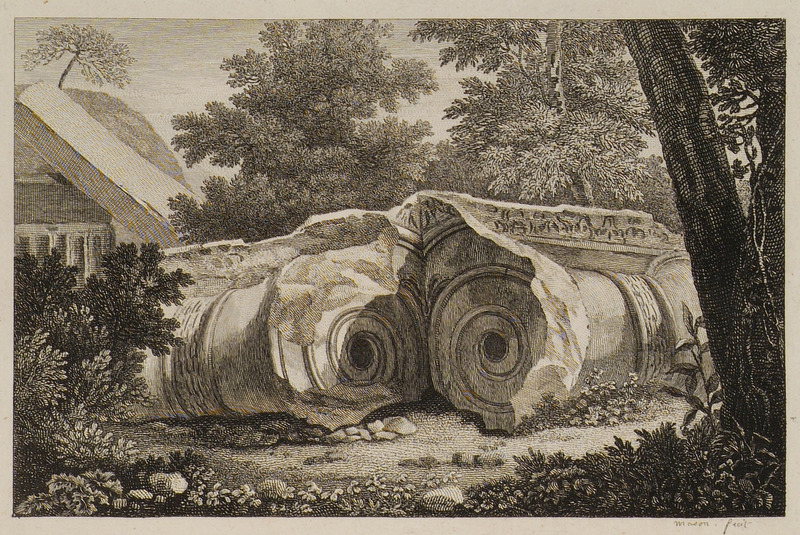 Fig.VII: A Section through an Architrave, belonging to the same Entablature as the above Cornice did, and found near it, among the ruins at the front of the Peribolus. Temple of Athena Polias in Priene: Fig. 1: The Entablature of the Temple restored [reconstructed representation], with a Section through the middle, showing its internal face. Fig. 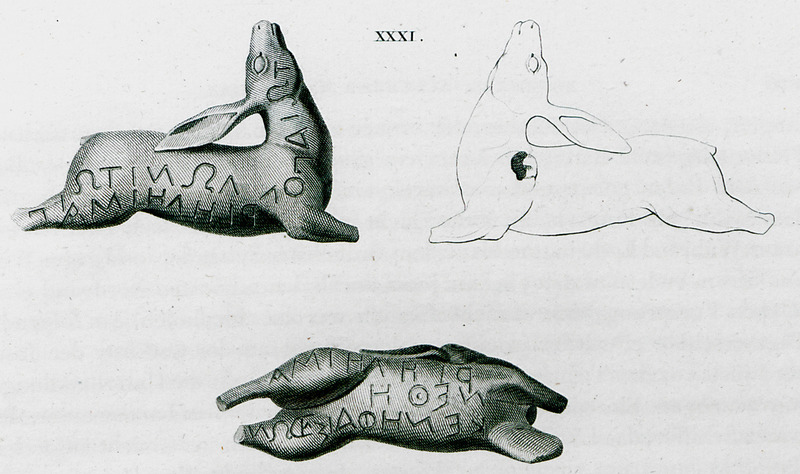 2: The Ornament on the Sima upon a larger Scale… Fig. 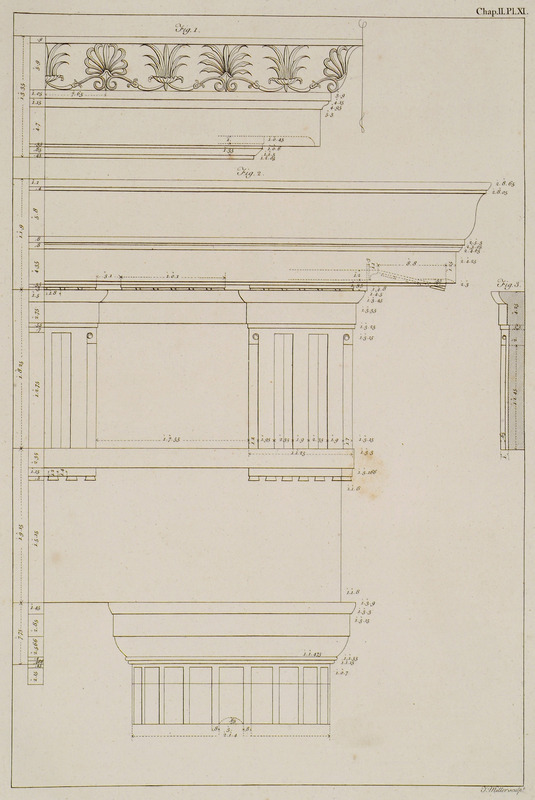 3: An Architrave and Cornice, taken from Mr. Wood's measurements of this temple. Temple of Athena Polias in Priene: Fig. I: A Cornice found at some distance, to the South East from the Peribolus. Fig. 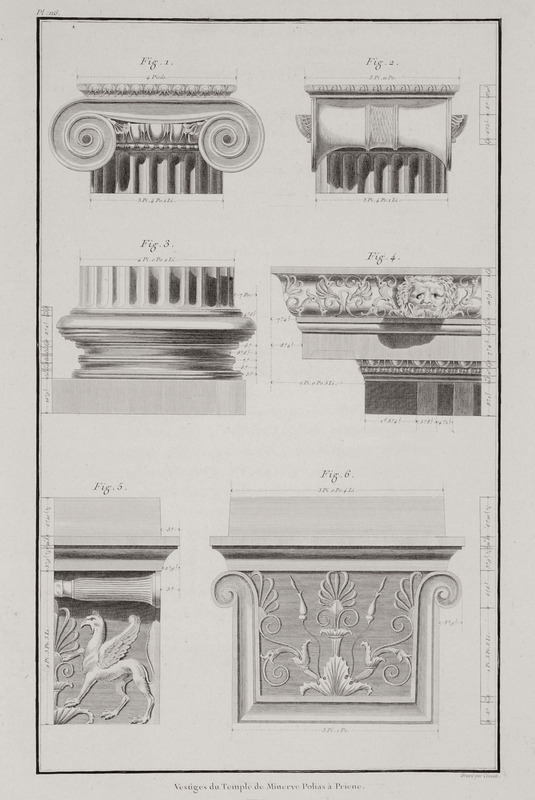 II: A Doric Capital and Entablature.Fig. III: The Projecture of the Triglyph from the Naked of the Frize. Architectural features of the Temple of Athena at Priene, Asia Minor. Bronze statue of a deer from the Temple of Apollo in Priene, ancient city in Asia Minor. View of the remains of ancient Priene, with the sites of the ancient monuments and the modern settlement.